Explore the culture, history, and beauty of Japan on a two-week voyage that begins in the metropolis of Tokyo before circumnavigating the entire country. 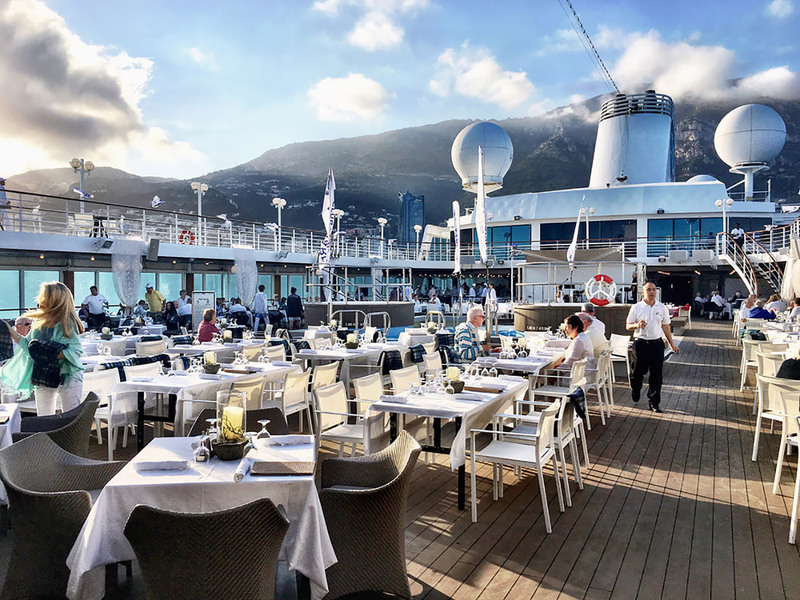 This incredible cruise package aboard Azamara Quest includes return airfares, premium hotels and transfers. Onboard Azamara Quest from Tokyo, you’ll spend a day at sea before arriving in beautiful Hokadate. During your stay, you can spend time enjoying the company of wildlife at the Hakodate City Tropical Botanical Garden. Before you leave, be sure to snap a photo of Mount Hakodate, the vast 334 meter-high mountain that towers above the city. Next, your voyage will take you to Akita, home of the UNESCO World Heritage Site of the Shirakami-Sanchi Mountains. Then, it’s off to Kanazawa and Sakaiminato to explore traditional tea houses and take a walk down Shigeru Mizuki Road. After an evening at sea, you’ll arrive in Busan, South Korea for a late stay in port. In this bustling city, you’ll have the opportunity to climb Busan Tower for a picturesque view of the surrounding area. From here, you’ll visit Nagasaki, Kagoshima, and Kochi, where you can visit volcanic hot springs, Kōchi Castle, and Huis Ten Bosch—a theme park modeled after a Dutch city. Your voyage will then bring you to Kobe for an overnight stay. While exploring Kobe, tour the sake breweries in the Nada district, walk through the Sorakuen Japanese landscape garden, and do some shopping at Kobe Harborland. When the sun goes down, take the Shin-Kobe Ropeway up the southern slope of the Rokko mountains for a stunning nighttime view of the city. After an overnight in Kobe, you’ll journey into Suruga Bay to visit Shimizu and glimpse Japan’s most iconic landmark—Mount Fuji. In Shimizu, you’ll find Miho-no-Matsubara—a beautiful park with four miles of pine groves along the seashore. Feeling relaxed and reenergized, your journey will conclude with an overnight in Tokyo, having gained a lifetime of experiences in the span of two incredible weeks. Across the fleet, their authentic service goes beyond the expectations of even the most well-travelled cruisers. Friendly and approachable, their staff are attentive, and happy to offer everything from poolside service to recommendations for your on-shore exploration. After all, we love sailing the world just as much as you do! Prices are valid for flights ex Sydney, Melbourne Brisbane, Adelaide and Perth. All prices listed are in Australian dollars, are per person on a twin-share basis and are subject to change and availability. Enjoy a full day in Tokyo to spend at your leisure. The world’s largest metropolitan area, Tokyo is an unforgettable experience for everyone. Tour the best ramen and sushi restaurants, visit Akihabara Electric Town to discover cutting-edge gadgets and games, and scale the Tokyo City View—a breathtaking observation deck on the 52nd floor of Mori Tower. For a change of pace, visit the Meiji Shrine to take a serene stroll along the many walking paths. 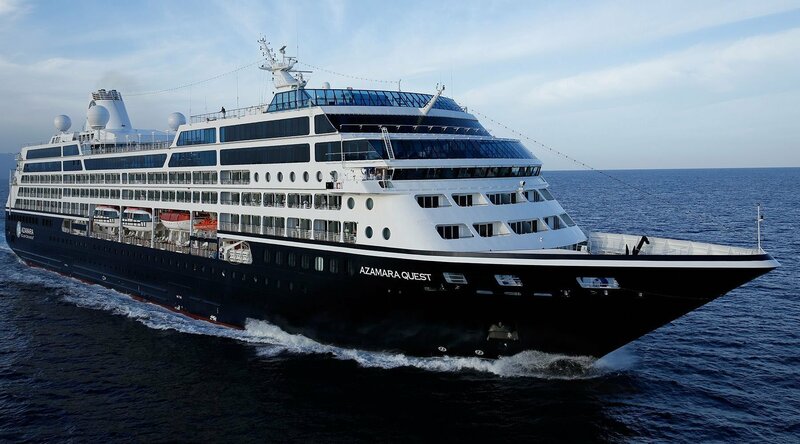 Transfer from your hotel to the cruise port to embark the Azamara Quest. Spend the day sailing in style aboard your boutique hotel at sea. Indulge in a treatment at Sanctum Spa, stay ship shape with a class at our fitness center, or lounge the day away on our sunny pool deck. In the evening, savor inspired Italian cuisine at Aqualina, or relish in a classic steakhouse experience at Prime C. Plus, you’ll find plenty of exciting evening entertainment, from thrilling shows at Cabaret Lounge to intimate performances in the Living Room. Bring your appetite to Akita. 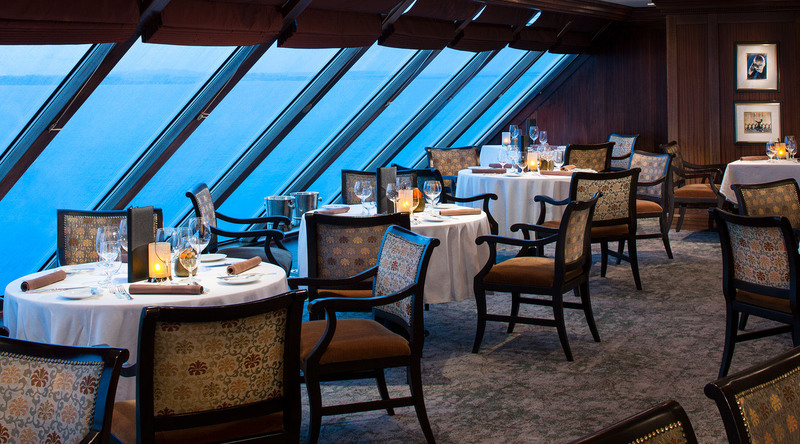 With its prime location adjacent to the Sea of Japan, seafood lovers will be in heaven. The region is famous for its rice production and the high quality sake brewed from it. Once you’re full, take advantage of the city’s outdoor offerings by visiting the Shirakami -Sanchi Mountains, a UNESCO World Heritage Site, or relax at the Nyuto Hot Springs. Sakaiminato is the birthplace of Shigeru Mizuki, the creator of GeGeGe no Kitaro, the manga stories that birthed so many of Japan’s favorite comic characters. Take a walk down Shigeru Mizuki Road, a street lined with more than 150 statues of his characters. If you’re a Manga fan, be sure to also visit the Shigeru Mizuki Memorial Museum to learn more about Mizuki and his creative characters. Ancient culture and modern life come together seamlessly in South Korea’s second-largest city. Buddhist temples can be found in abundance, and each intricate structure is well-worth a visit. For fresh seafood, head to the fish market, where you can sample it raw—just the way locals love. For a true taste of Busan, head to the bustling Gujke Market. The dominant image on Kagoshima’s horizon is Sakurajima, the overactive volcano whose frequent dustings of ash bring out the umbrellas as if they were spring showers. The mountain also heats a number of geothermal springs, providing the unique opportunity to relax in a sand bath. For a rare taste of old Japan, visit Chiran and its street of meticulously preserved Samurai houses and manicured gardens. Kōchi is a city with a well-earned reputation for having a good time. Begin your visit with a trip to Kōchi Castle, one of only 12 original castles still standing in Japan. Then, make your way to the Obiyamachi shopping arcade, which is close to the Harimaya-bashi—a replica of a bridge featured in a well-known Japanese love song. Kobe is headquarters for many Japanese and international firms, and has long been an important port. It’s also a short bullet-train ride from Kyoto, capital of Japan from the 8th to the 19th century. Explore spectacular temples and shrines, palaces and castles of shoguns and emperors, and narrow lanes paved in stone and lined with wooden buildings. The world’s largest metropolitan area, Tokyo is an unforgettable experience for everyone. Tour the best ramen and sushi restaurants, visit Akihabara Electric Town to discover cutting-edge gadgets and games, and scale the Tokyo City View—a breathtaking observation deck on the 52nd floor of Mori Tower. For a change of pace, visit the Meiji Shrine to take a serene stroll along the many walking paths. Disembark the Azamara Quest and transfer to Haneda Airport for your flight home.